Proven Contracting is a reputable roofing contractor here in New Jersey. We specialize in various roofing services, including but not limited to roof repair, roof maintenance, roof installation, and other critical roofing services. 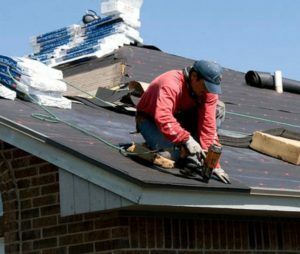 One of the expertise that we are highly known for in the Northern New Jersey area is the roof replacement service we provide to both homeowners and commercial business owners of the area. When it comes to roof replacement, it is our duty as a reliable and trustworthy roofing contractor to provide you with the best service complemented by the top-notch roofing materials available in the market today. When it comes to roof replacement and related services, we have a team fully trained and equipped roofing experts to handle your roof replacement needs. From highly competent project managers to knowledgeable and skilled roofers, Proven Contracting never lacks the talent, skills, and commitment to pursue any roofing task, especially roof replacement. As mentioned above, we always complement our service with high-quality materials. That is why Proven Contracting has partnered with industry-leading brands and manufacturers such as Atlas Roofing Corporation, IKO Production Inc., GAF, CertainTeed Roofing, Owens Corning and so much. This is approach together with our renowned skills and performance, will guarantee the best outcome and value for money in any roofing services we deliver. Removing the old roofing material of your roofing system is essential not only during roof inspection but also during roof replacement process. Here in Northern New Jersey, some homeowners and even other so-called roofing experts does not subscribe to the removal of old and existing materials down to the decking when it comes to roofing replacement or re-roofing. Although it may sound natural, for an experienced and trusted roofing contractor like us, leaving such old roofing materials behind is a recipe for disaster. Without taking time to remove old roofing materials during a roof replacement procedure would not only mean the lack of opportunity to inspect the total integrity of the roofing system, but it would also mean that any rooting or damaged wood or any roofing material will not be corrected. For more details of our services, including but not limited to roof replacement, roof repair, roof installation, skylight, gutter, windows & siding, installation, repair, and replacement, you may contact us at 973-200-7278. We provide services to all the homeowners and business owners of Northern New Jersey, we have local stations located at Livingston, Long Valley, Randolph and Bridgewater for your convenience. Visit Us Today!